Social Media Management Software for Digital Agencies. Work with your team to manage social media presence for multiple clients, with advanced scheduling, monitoring, and reporting capabilities. One platform for all your clients. A Brand for every client. Organize all of a client's social media accounts under a Brand and manage them easily from a single dashboard. Got a new client? Congratulations! Just add another Brand and you're all set. Choose from the default roles or create custom roles for team members and assign them to specific clients. Relationship-building is now easier with designated and organized roles. All the power of Zoho Social, with your name on it. Reinforce your brand while you work with your clients. 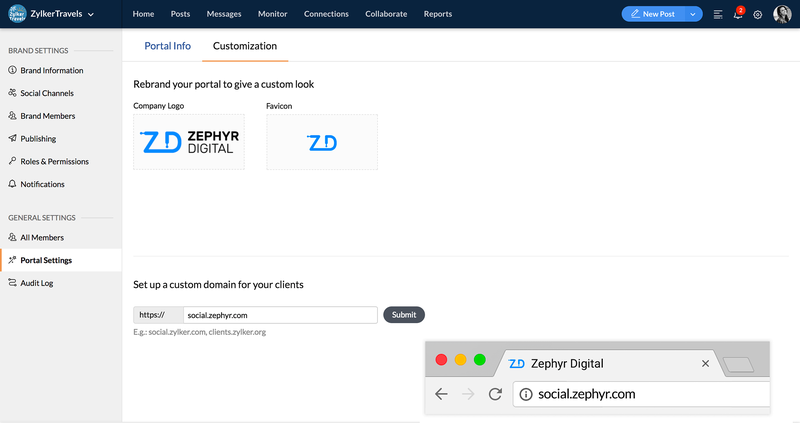 Custom-label Zoho Social with your agency domain name, logo, and favicon. Invite your clients with email messages that we've customized for you, and add your agency's logo to the reports you share with them. Collaborate with your team. And your clients, too. You're all in this together. 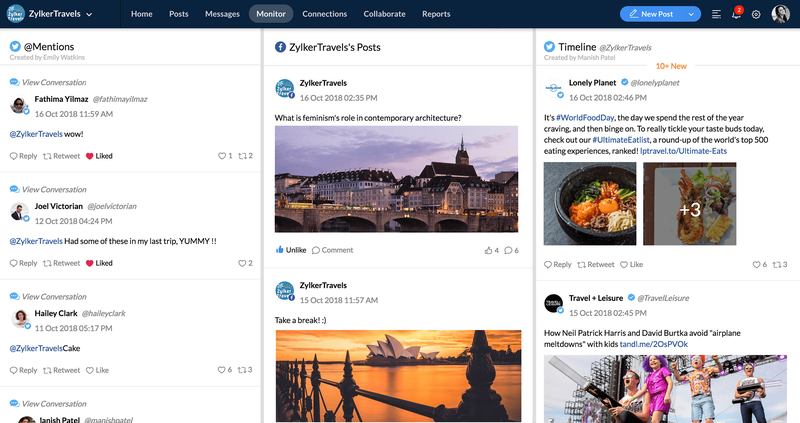 Tag your team members and bring them together to discuss reports, social media interactions, and popular posts, or just to chat about anything that matters. Invite your clients to the party. Looking for feedback from a client? @Mention them in specific threads to involve them in decision-making. Clients can also initiate new discussions within Zoho Social. A powerful publishing platform for agencies of any size. A publishing calendar that you'll love. 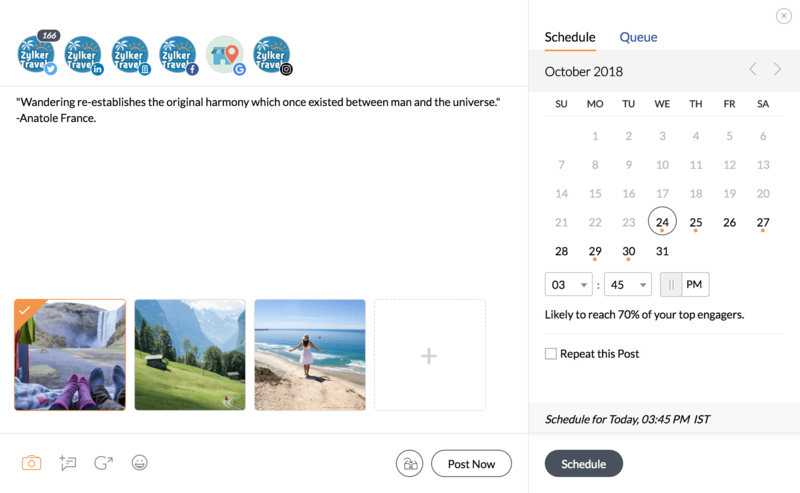 From identifying empty slots and clashing schedules to creating new posts, get a complete overview of scheduled posts for your clients so you can manage their content pipeline efficiently. All the best times to post—at your fingertips. SmartQ your posts to schedule them for the times your followers are most likely to see them. Trust our prediction engine to do all the heavy lifting for you. Want to schedule multiple posts at once? Bulk upload them in advance to save time. Or repeat-a-post that you wouldn't want your audience to miss. 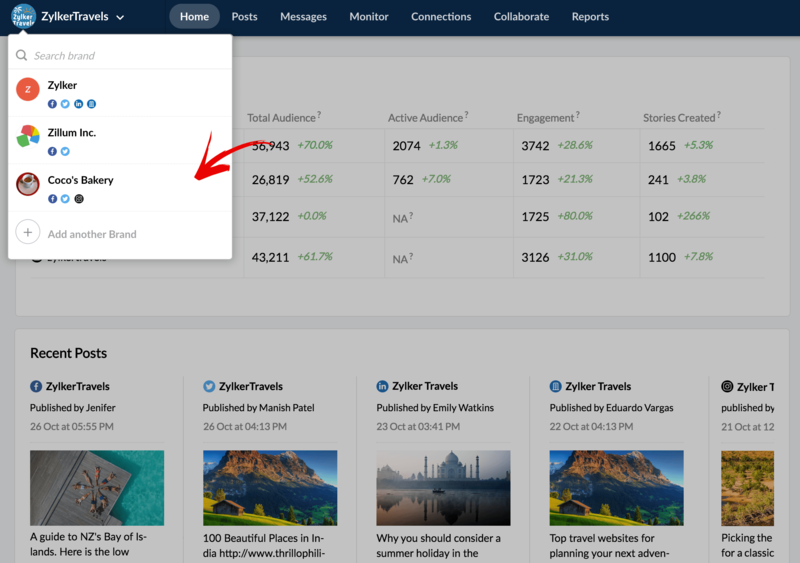 Choose from 15 different types of columns to monitor social activities, such as hashtags, likes, and shares. Bring columns that need immediate attention to the front, or delete the ones you're not using. Better context for every interaction. 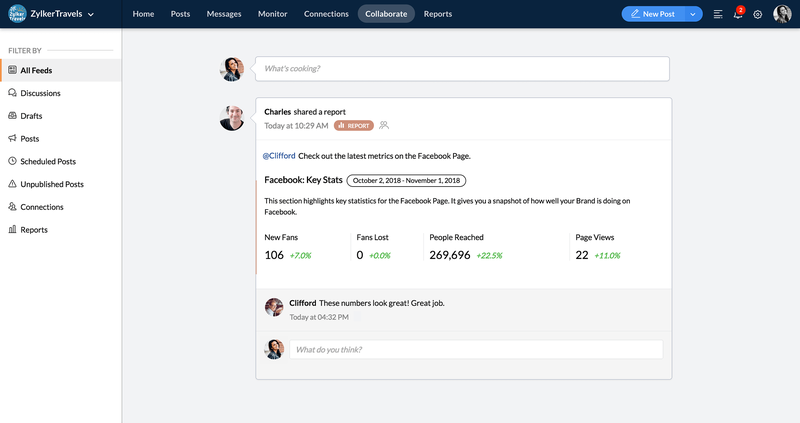 Zoom in to profiles, view conversations, and discover what people are saying about your clients. 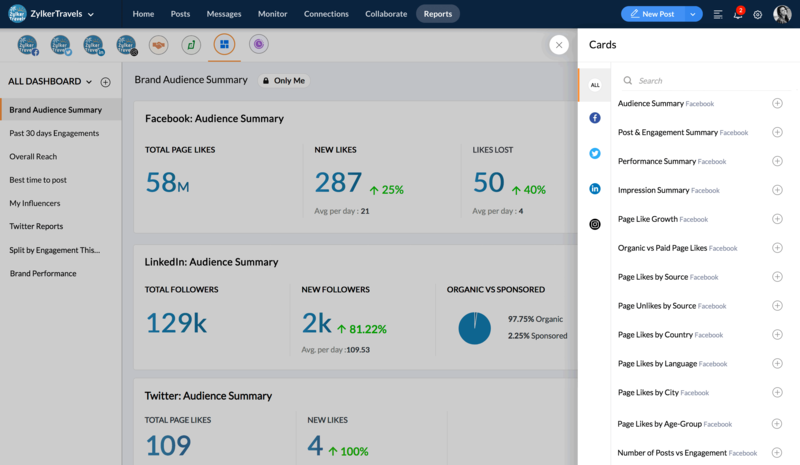 Monitor relevant keywords, engage users, or just stay up to date with trends—all in real-time. Unlimited reports. No strings attached. Measure performance with real-time analytics. Analyze which social networks are performing the best and which ones need more of your time. Identify the content types that work well, the best times to post them, and more. Select from a range of statistics to tailor reports from scratch. Customize your reports to include a variety of graph and table types, with data from across different networks. "Zoho Social is close to perfect for agencies offering social media marketing. The collaboration capabilities with the team makes social approvals happen on time. Communicating with clients in the process is a bonus!" 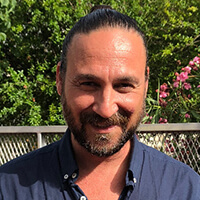 "Direct Publishing to Instagram, bulk scheduling, multi-channel management, and for agencies like ours, multiple-brand management! I also love that I can add more brands to any package I'm using. It's excellent for agencies who want to manage things simply." "We had an amazing experience on the go. The fact that we could manage all our Brands mostly with 2 social accounts with perfect timing, schedule, and plan productively, too. Thumbs Up! 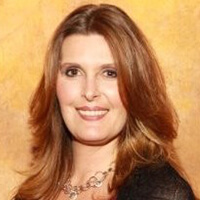 This is a great tool for every small and big agency." "If you're an agency that has to handle a lot of posts, then I recommend this. The best part about Zoho Social is that we can schedule as many posts in advance as we want. It is also very affordable, easy to use and helps keep all the different posts organized." 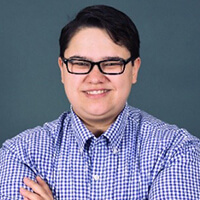 "I decided to use Zoho Social after a lengthy research project into all of the social media tools I could find. The ease of posting, the price for the number of brands and platforms I manage, and comprehensive software capacity made this the best choice for my growing business!" Manage social media for all your clients with one platform.